Few weeks ago, China announced a new US$47.4 billion fund to stimulate innovation in the country’s semiconductor industry. At the moment, China consumes some 45% of the global supply of semiconductors, but only 10% are made by Chinese firms. The goal is to become self-sufficient on semiconductors even as export controls and other regulations, largely from U.S., hit the country. The Chinese government has, in recent years, stepped up efforts to create a domestic semiconductor industry to help supply its massive electronics market, signaling its intention to spend $161 billion over 10 years to further that effort. China currently imports more than $100 billion worth of semiconductors every year. The latest China Integrated Circuit Industry Investment Fund will follow a similar fund launched in 2014 that raised about $22 billion, according to the Wall Street Journal report. Fast forward – many Chinese engineers and professionals, in U.S. and other Western countries, are planning to move back to China to partake in this $47.4 billion opportunity. It is indeed a huge fund and would seed a new generation of innovators and makers. This is the lesson for Nigeria: you do not tell a man who lives in London [New York, Tokyo, etc] to carry his bag and return to Lagos, Uyo and Aba when you have no plan for him. The China’s model is what Nigeria can replicate if the nation really wants some of its citizens who are living abroad to return. The Federal Government has called on Nigerians in the Diaspora to return home and seize the various economic opportunities to make billions of naira. 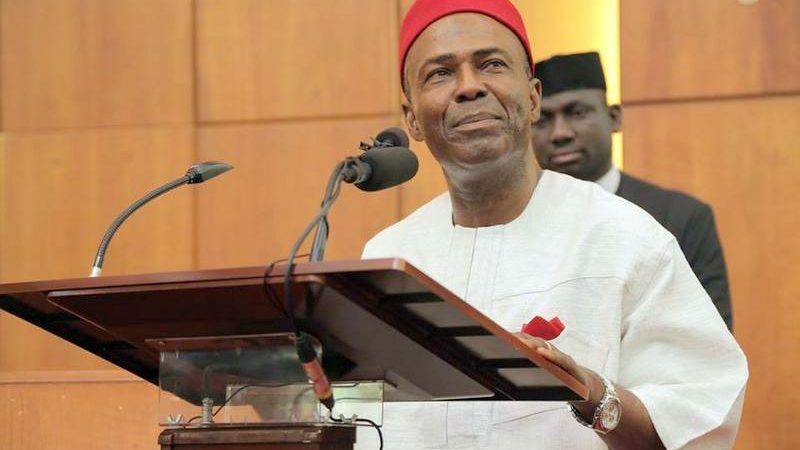 The Minister of Science and Technology, Ogbonnaya Onu, made the call at an investment forum organised in New York by his ministry for Nigerians in the U.S.
Mr. Onu explained that various investment opportunities currently existed and were waiting for them at home, challenging them to take it before they were given to foreigners. The former governor of Abia from 1992 to 1993, informed the Diaspora Nigerians that various research products with opportunities to yield billions of naira, were waiting for them at home. “We are asking you to come and be billionaires. That is what we are asking you, not millionaires. Come and make billions. If you make $3 billion available under a solid transparent and competitive system, many people will return to combine forces with those at home. As those from abroad bring the little exposures they have and those at home bring their knowledge of the challenges and markets, Nigeria would experience a virtuoso moment of innovation. But the constant “begging” of our diaspora to return when there is no plan for them, in the country, will not work. Nigeria needs a roadmap to get its people working for the nation, and the bold vision of China needs to be replicated. Our venture industry is still at infancy which means government must do the lifting up just as China understands that semiconductor funding is not matured and anchoring the stimulation in Beijing. Today, Nigeria’s semiconductors could be food processing, textile, light manufacturing and more; we certainly do not need semiconductors at this time. But we need government to inject funding where it puts its mouth. And when that happens, the diasporas would hear the call, return and then make the billions even as they build the nation with their indigenous counterparts.